It’s been an exciting week here at the Brex Golf World Headquarters. When we found out that our friend and local songwriter and musician, Kevin Abernathy, was opening for Huey Lewis and the News in Knoxville, TN, we sent him in with a BG-1 putter for Huey. Kevin said that Huey is a super nice guy who accepted the gift graciously and said, “I like it!” Here’s hoping we see Huey draining putts with his new BG-1 at the 2014 AT&T Pebble Beach National Pro-Am. 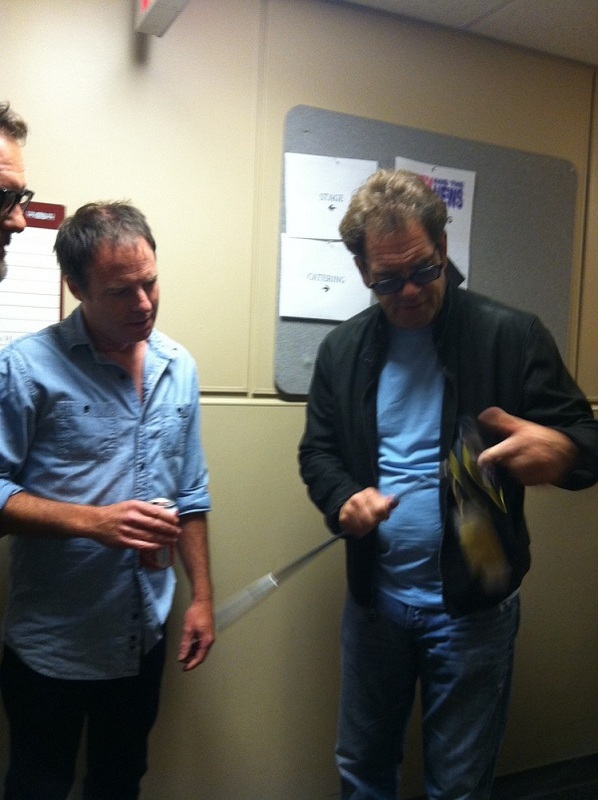 Here’s an exclusive, backstage Brex-cam shot of Huey admiring his new putter. That’s the power of love, baby! © 2019 Brex Golf All Rights Reserved.